Before we lived in Houston we lived in Overland Park Kansas. Car Insurance we pretty cheap, and the cost of living was a little less too. But for many reasons ( Jobs, warmer weather) we decided to relocate to Houston. Our first apartment in Houston was in the midtown area. Our rates were around $283 per month. This was mostly because of our ages. I was still under 25 which is the breaking point for guys. Also the fact that we lived in an area of town that had higher crime ( anywhere close to downtown ). At the time our rates were decent. Years later, I am no longer under 25, and we had bought a house in Pearland. Car insurance in Pearland is much cheaper than it was in midtown Houston. Our rate was about $125 / month. Not sure why but ever since Hurricane IKE Farmers has raised our rates for both home and Auto. They took us from $125 / month to almost $170 / month. When you include what we were paying for Home, we were paying about $330 / month. This was a little too much for us. Even though we had some damage to our house ( just the fence ), instead of making any claims we made the repairs ourself. 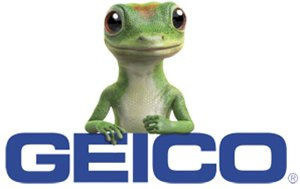 After some research, I found that Geico had the best rates if you live in Pearland Texas. 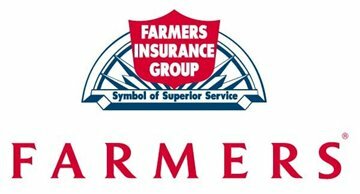 Keeping the same coverages we had with Farmers we were able to get a 6 month premium for $670 or about $111 / month. Having almost a $60 in savings is alot. I couldn't believe it was going to be that much. I made the switch to Geico for our Auto. Their website is very easy to use. Reminds me of the kind of interface I would program for a client, very easy to navigate, and well designed. We also compared Geico for Home, but their Home owners coverage was going to be about $500 more / year than Farmers. I guess Warren Buffett hasn't yet done his magic on that part of the company yet. For years I have seen the commericals for Geico, and have always been a fan of the Cavemen, the lizard is ok too. So in conclusion if you want the best deal on insurance, Use Geico for Auto and Farmers for your Home. If anyone knows of a place with better home coverages let me know.